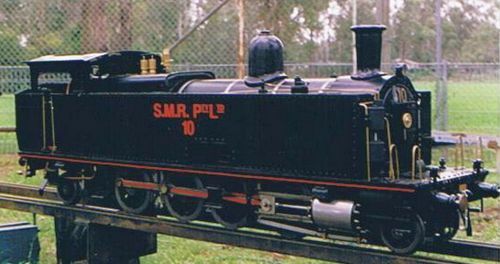 5" gauge SMR10 South Maitland Railwys 2-8-2 tank engine (side & bunker). 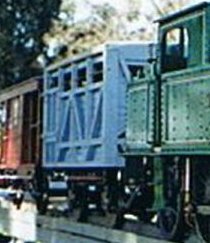 Black / copper boiler / brass tanks / dummy battery in the front. 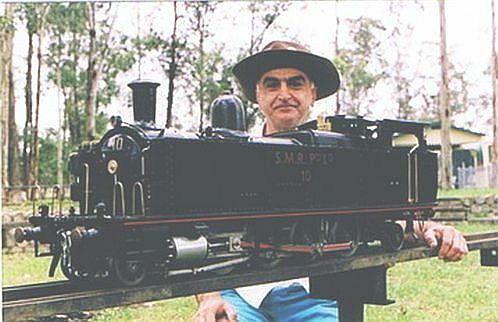 Built and registered in Western District Live Steamers (NSW, Australia). Copper boiler with AMBSC ID - NG 96 110. Was stolen along with a 7.25"g Cattle Wagon. Stolen 13 Dec 2000 from owner's home in Sydney. 71 Text and photos Copyright © 2006-2019 SMEX, All rights reserved.